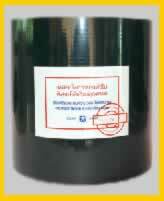 "Detchai" is the brand name of the rice mill rubber roller produced by Detchai Rubber Company. In the local market or ball is named “Sport Man”.The rubber used is 100% synthetic rubber . 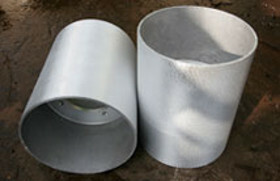 It has high abrasion resistance. With the abrasion resistant rubber plus the highly selected supplement of grade A the rubber mill can work at least for 50 hours. 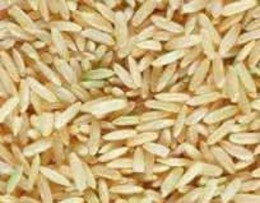 The objective in milling rice is to separate the rice husk from the grain. If possible ,the grain should not be broken.Thus Detchai rubber rollers have been designed to meet the need of each type of grains in different rice mills. The strength is in the range of 87 +_5 IRHD Shore A. Besides the size of the roller is an important factor for specifying the rotation speed ( rpm). The size is 10”x10” ( 254mmx254mm).This is the standard size with the suitable rotation speed to cause the slip stick condition. Many customers misunderstand that if the velocity is increased more grains can be obtained. The abrasion between the two surfaces causes heat between them. The tensile strengthand the modulus are reduced. 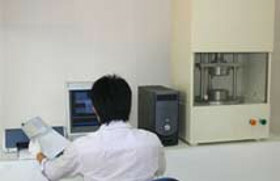 But because of the formula used by Detchai which uses fillers with high tensile strength the abrasion can be lessened by 20 percent from our lab experiment. 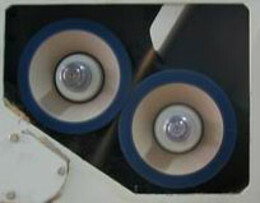 The core of the rubber roller is an important part . 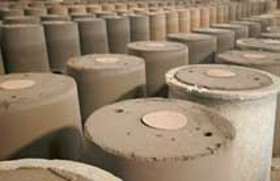 We have our own factory to produce these cores. Thus we can design our cores to suit our needs. We have a research unit to measure the rubber by our own high-tech laboratory to keep and control the best quality of our rubber rice roller. Because of this and other details that our company emphasizes we are confident to Present the Best Number 1 rubber roller in Thailand to you. Very high peeling efficiency with low proportion of broken rice grains, Exclusive patent NBR formula, neat curing, and high quality of the rubber materials will ensures that Sport man has highest degree of heat resistance & durability. Ma Li means jasmine in Thai language. Jasmine rice, a world class agricultural product, is a pride of Thai farmers. 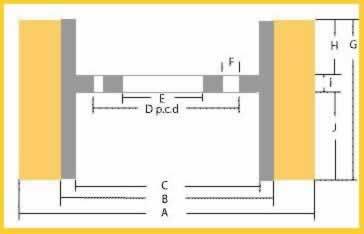 Therefore, Ma Li was chosen as a name of our rubber brake block.